Shakenstir » Album Of The Year? Joshua Michael Tillman, also known as J. Tillman or Father John Misty, is an American singer, songwriter, guitarist and drummer. Maintaining a steady output of solo recordings since 2004, Tillman was a former member or toured with many acts including Demon Hunter, Saxon Shore, Fleet Foxes, Jeffertitti’s Nile, Bill Patton, and Pearly Gate Music. He has toured extensively with Pacific Northwest artists Damien Jurado, Jesse Sykes, and David Bazan. He has also made contributions to albums by popular artists, including Beyoncé, Lady Gaga, and Kid Cudi, and has produced one album for Matthew Daniel Siskin, known as Gambles. 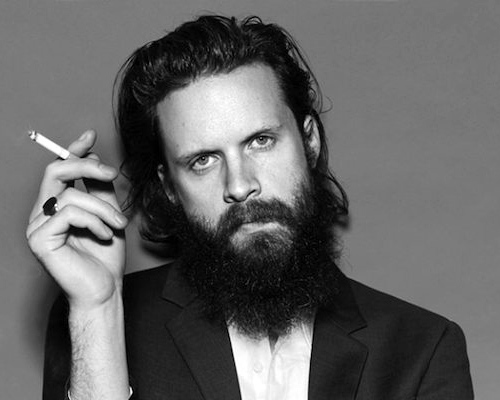 After releasing two albums including the highly acclaimed 2015 I LOVE YOU, HONEYBEAR, as Father John Misty it became apparent that Tillman had also begun working on further material after he uploaded a new song to SoundCloud titled “Real Love Baby” early in 2016. Tillman made headlines that summer when he cut his performance short at the XPoneNtial Festival in New Jersey after replacing his planned set list with a tirade about the empty values of entertainment and the rise of stupidity in popular culture and its effect on society. He then performed a cover of Leonard Cohen’s “Bird on the Wire” before abruptly leaving the stage. 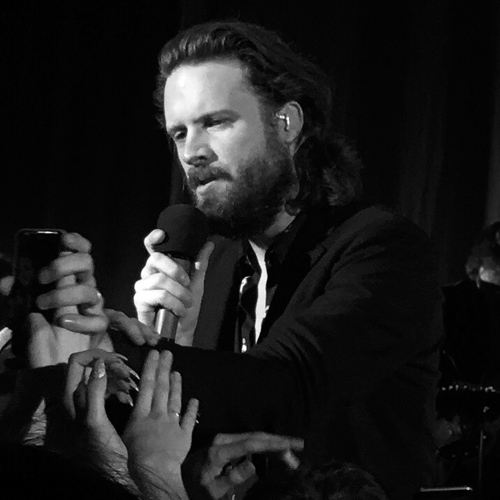 Later that year, he uploaded another new song onto SoundCloud, “Holy Hell,” and in late January 2017, Father John Misty announced his third album, PURE COMEDY. The record lyrically touched on themes such as politics, social media, the environment, technology, and celebrity culture. PURE COMEDY was released in early April 2017. PURE COMEDY is an ironic title for an album which attempts (successfully) to cover all manner of modern ills including pop and celebrity culture, religion, capitalism, politics and IT. Great music requires performing skill (live and in the studio) and the finest songs. In the case of the latter, for me, melody is a key ingredient but without meaningful and sincere words songs are empty, cold and soulless. 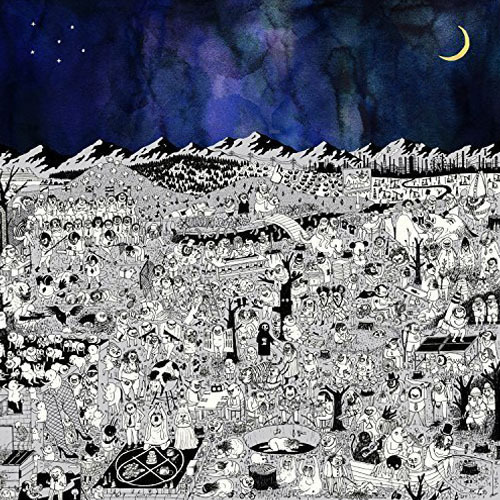 The best singer/songwriters are usually the best songwriters and Father John Misty has once again proved to be in the top global echelon. The above lyrics are taken from the opening title track of the new album and at this early juncture my interest is seriously aroused by their accessibility and meaning. Recently I witnessed a wonderful live performance by another great singer/songwriter in Tori Amos but I have to confess I often find her lyrics difficult to comprehend. Not so with FJM. Add to these superb lyrics a simple but highly effective instrumental backdrop including telling solo piano notes. The artist’s voice is fluid and compelling, the song’s melody captivating. Piano notes eventually give way to an epic collection of brass and strings for one of the best song exits heard in 2017. Judicial production seals the perfect song package. This has to be one of the best tracks released by anyone in 2017. The stripped-down, lengthy ’Leaving LA’ is the most moving and beautiful song here with its excellent and meaningful lyrics, wonderful melody, fantastic instrumental arrangement with superb string passages and a deeply emotional vocal performance. There are thirteen brilliant songs here performed with skill, passion and authenticity. There’s also a welcome diversity of sound, mood and pace. The quality of recording is stunning with every lyric and instrumental note heard with total clarity. This could well be my album of the year and the more I listen to it, the more I love it. Essential.